Through years of use in law enforcement and special operations, the Evading Honesty system has proven over and over again to be an effective tool benefiting both law enforcement and the average citizen alike. It's time you know your surroundings, who you can trust, and those who are Evading Honesty. Lena wrote You're Lying! because no matter what your profession or life circumstances, you need the skills to take control of a situation, detect deception, and reveal the truth. While you probably won't ever have to interrogate a detainee who doesn't want to tell you about an upcoming terrorist attack - as Lena has - You're Lying! will help you deal with that salesperson trying to rip you off, the kid bullying your child who claims innocence, a cheating spouse, or a dissembling boss. Have you ever been lied to? Of course you have, whether you knew it or not. Ever caught a spouse, business partner, parent, boss, or child brazenly lying right to your face? What if you could tell someone was lying, just by listening to them, and observing their action and behavior? 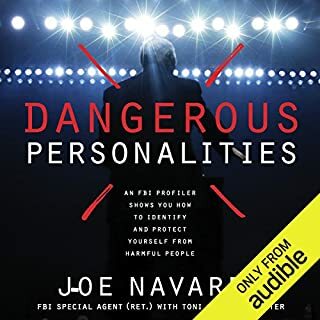 Here's the first audiobook that gives you the tools to figure out what's really going on. Getting someone to tell the truth is an essential skill that very few people possess. In the boardroom, the classroom, or our own homes, every day we interact with others and try to get the truth from them. People are often untruthful out of fear of negative consequences associated with divulging information. But if a person is made to forget the long-term outcomes, he or she can be influenced to disclose sensitive information that's being withheld. The aim is to encourage the person to remain in short-term thinking mode, shifting focus away from the long-term ramifications of telling the truth. 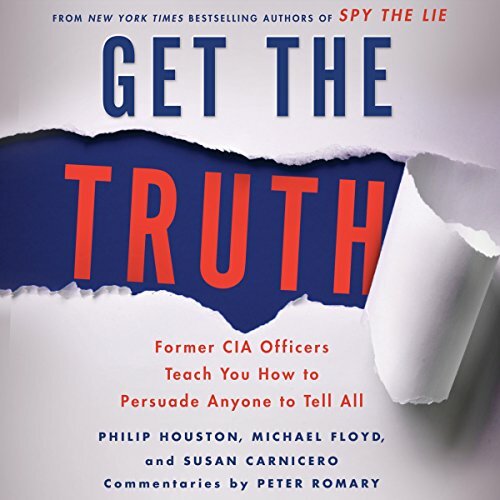 As former CIA agents and best-selling authors of Spy the Lie, Philip Houston, Mike Floyd, and Susan Carnicero are among the world's best at recognizing deceptive behavior and eliciting the truth from even the most accomplished liars. Get the Truth is a step-by-step guide that empowers readers to elicit the truth from others. It also chronicles the fascinating story of how the authors used a methodology Houston developed to elicit the truth in the counterterrorism and criminal investigation realms and how these techniques can be applied to our daily lives. 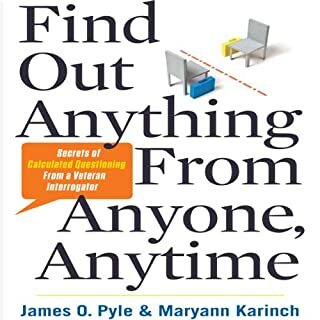 Using thrilling anecdotes from their careers in counterintelligence, and with easy-to-follow instructions, the authors provide a foolproof means of getting absolutely anybody to give an honest answer. Much of this book is covered in "Spy the Lie"
Much of the content of this book can be found in "Spy the Lie", which was not a surprise as it was said in the beginning that it would be the case. The performance was well done but the content of the book was at times tedious, but still interesting and educational. I have yet to put theses skills to use but I hope they are not needed any time soon. Spy the Lie is better. Both well performed. Both well written and all stars. 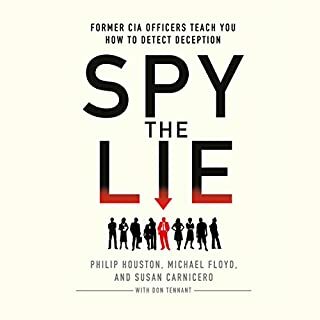 Couldn't tell you how many times I've listened to Spy the Lie; I have it on CD's and through Audible. This one complements the 1st well. I really liked it but it wasn't what I thought. It's geared to someone interrogating and not in real world applications. They also spent an enormous amount of time on pretend interrogation with OJ Simpson when went on for an entire chapter after they gave a lengthy dose of it in a previous chapter. Would you listen to Get the Truth again? Why? No, i would not listen to it again. In fact, after the first hour your realize that the story, the techniques are basically the same. Just hammer the person you are talking to with a monologue, don't be judgmental, sympathies without commitment, make no promises, make them comfortable, mimic, and they will crack. That's literally the whole book. 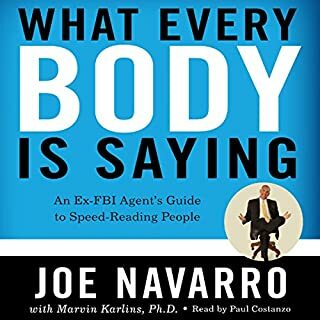 If you have never heard of these strategies - ok, get the book, but if you have been studying body language, micro expressions, speech, inflections, and interrogation tactics for years, this is a total waste of time. 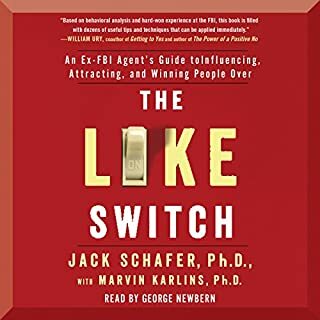 The Like Switch is going to provide you with more substance than this book. Download that one. 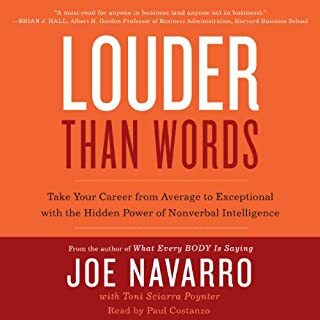 If you have never heard of these strategies - ok, get the book, but if you have been studying body language, micro expressions, speech, inflections, and interrogation tactics for years, this is a total waste of time. The Like Switch is going to provide you with more substance than this book. Download that one. this book could be interesting, if it wasnt marketed as a book that will help the reader "get the truth" out of people. each scenario in this book presupposes one thing: your target is hooked up to a polygraph machine!!! the approaches outlined in this book require that you, as the person seeking the truth, are able to detect inconsistent patterns in the respondent, then -with that data established- you can work through different rhetorical approaches to elicit favorable responses. the respondent knows the questioner cant use the polygraph machine to read minds, but the respondent also knows that the questioner will persist if there is misalignment between the polygraph data, nonverbal cues and the provided answers. try any of these techniques without a polygraph and the person being questioned can just keep the story going...and you will have no way to prove or disprove it. the narrator was ridiculous on his attempts to "act out" the people being interviewed. the previous book, " Spy the Lie" was much better overall. So yea, about the book, I'm just not impressed. Haven't got a thing from it. Came on here to exchange my credit. But I guess that also means that these things do work for those who this line of thought isn't natural to them, and perhaps let the emotions show too much changing what response you will get. So it's good, just not for me. Resourceful information, best book with loads of information of 2017. I recommend this book! Essentially, this is "Spy the lie" in different words. It's the same material and seemingly a waste of time and money. The examples given in "Spy the lie" are the same ones given in this book. Very disappointed.